Introducing a new voice to the 45 Drives blog, Darrell Cormier. Darrell is part of our R&D team! At 45 Drives, we're continuously striving to improve the quality of our systems. Our goal is to provide industrial-strength storage solutions to our customers that are exceptionally affordable. As a part of that, we're always looking to innovate our Storinator storage pods to perform even better than before. As part of this process, we began to explore a new open source NAS operating system called Rockstor. This Network Attached Storage system strives to simplify network storage as much as possible without compromising features or performance. Rockstor's Storinator Q30, all ready for testing! Rockstor was created and developed by Suman Chakravartula, who we began working with late last year. 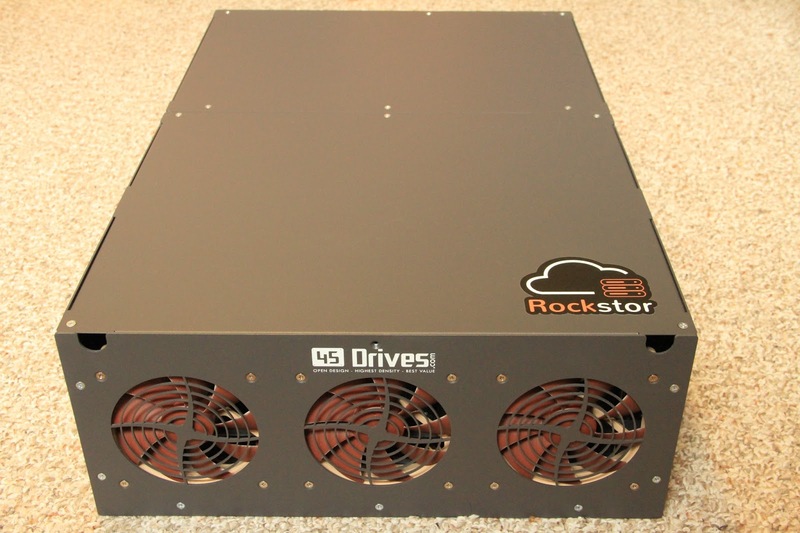 Since then, both the Rockstor team and 45 Drives have been hard at work to bring the technological advantages of our partnership to our customers and users. Soon, this dream will be a reality - we're almost ready for Rockstor to be available on all of our 45 Drives storage pods, including our new Storinator NAS Appliances. Suman recently wrote a blog post about his experience setting up Rockstor on a Storinator Q30. Have a read and let us know what you think! Stay tuned for details on Rockstor as an option on Storinators. Our Biggest Design Decision - Direct Wired or Backplane? 45 Drives ® is a division of Protocase Incorporated. © Copyright Protocase Incorporated. Awesome Inc. theme. Powered by Blogger.